Annali is a hardworking, enthusiastic and dedicated individual who loves to serve others! She has a heart for adventure! She appreciates traveling with her husband, Andy, for his Hot Rod Fabrication Company and loves to see all the different towns and cities, learning about their history. Omaha is a GREAT community which is why she and her husband choose to raise their family of 5 (& 2 dogs) & hold their businesses here. Annali enjoys working with all people in all walks in life but particularly delights in helping young families start their adventure & assisting the "well-seasoned", hearing about their past adventures & the one they continue to be on. She finds the wisdom from age absolutely fascinating! 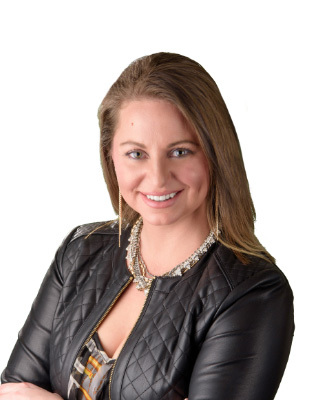 Annali is the Will2Way® Team Creator & also holds the At Home With Diversity Certification, Sellers Representative Specialist Designation®, Real Estate Negotiation Expert Certification & Military Relocation Professional Designation®. The Will2Way Team's MISSION is to enrich client's life by producing positive results that gives them peace of mind & saves them money! Call the Will2Way® Team today to experience an OUTSTANDING Home Buying or Selling Process! They are eager to assist you! "I asked Annali to assist in getting us our first house. Not knowing anything about real estate or buying a house, I relied on Annali’s expertise and acumen. She was not only able to find us the house we wanted, but was also able to find it in our price range. This was not a pre-owned house, but a new one. I would heartily recommend Annali to anyone needing assistance in obtaining that house you want so much. She is delight and a pleasure to work with. She knows what she’s doing and she has your interests at heart"